Windows have life spans depending on how you take care of them. There are various signs that come out to show that your windows need repairs, such signs include utility bills that are higher than usual, uncomfortable drafts, and water damage. Every house needs improvements and the time effect is usually visible in every part of the house. Some parts problem with window panes just require washing, but others also need reinstalling. Regardless of the problem, you may be experiencing; it's important that you call an expert as soon as possible. Here are some of the options you'll have when the time comes to call a professional. If the frame is still square and you don't see signs of water damage, then you will more than likely just need the sash replaced. This is a relatively minor fix that entails taking out old components such as the parting stops. Once this is done, then new jamb liners can be inserted. Not only will this put an end to those drafts, but it will also help make your home much more energy efficient. Replacing the sash and the frame is usually necessary only when enough water damage has occurred. In addition to peeling the paint on your window pane and neighboring walls, water damage causes your property to become vulnerable to mold growth and extreme temperature changes. As you may expect, this problem will be more expensive to fix. While this type of job will cost more, an expert can perform it in a relatively short amount of time. A soft frame typically means that it has been damaged due to moisture. In some instances, a customer will be much better off just having his or her window replaced completely because the damage is too extensive. If you have a major problem, and you opt for window repair, there is a good chance that it will only be a matter of time until you need to call someone out again to fix the same issue. The good news is many energy efficient models on the market will help you save money on your heating and cooling bills. For example, if you have double or triple pane and you see ice or frost that possibly means condensation has accumulated. Since those types of window panes are designed to keep moisture out, they'll probably need to be switched out for new ones. You'll probably also need a replacement if your window either won't stay open or sticks. Find a reputable window replacement company that you can trust to see if you will be better off having your window problem fixed. An expert will have enough experience and high knowledge in delivering high-quality service and will always work with the client’s best interests at heart. Carry out some online research and you should quickly be able to find companies that provide exactly what you are looking for at an affordable price. In the event your windows are inoperable, damaged or inefficient, you may be thinking about replacement options. But, window repair could be the most preferred option and it can also save you some cash. Here are some of the most vital factors to consider when faced with the decision of whether to repair or replace your window. 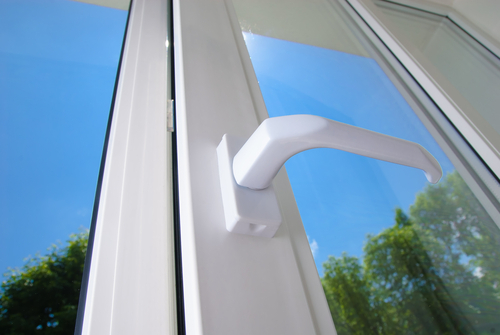 Inoperable windows: Painted shut or jammed sashes windows reduce their functionality. It’s true that these problems may help increase air tightness, but it’s also important to have a cool breeze inside your home. The good news is there are experts that can help you repair jammed sashes. However, if the repair turns out to be ineffective, you can consider replacing the window. Window wood rot: In the event that water infiltrates your frame, the wood could be damaged. It’s wise to remove the windows and fix the frame before it rots. 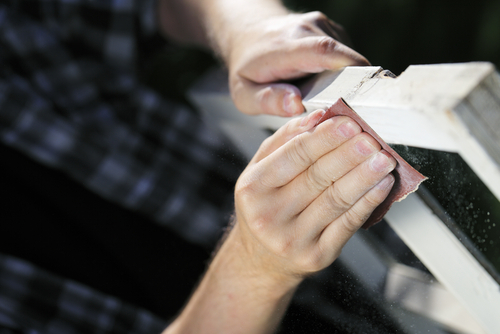 Before you think about replacing the entire window, it’s always good to think about repairing it. In the event that condensation has been created between the panes of insulated glass, it’s advisable to replace the sash or the entire window. Damaged windows: Windows problems such as cracked glass, broken exterior casings, missing or rotting exterior windows shields, split muntins can be repaired, but if any of your windows has three or more of these issues, it may be wise to think about window replacement. Window energy efficiency: Most individuals lose a lot of energy through poorly insulating glass because they have old-single pane windows. A window replacement made up of triple or double pane glass can help make your house more energy efficient. If your windows suffer from three or more of the above problems, it’s wise to consider replacing them instead of repairing. When it comes to window replacement, wood frame windows are usually the best option, but you have several other materials to choose from, including vinyl, fiberglass and aluminum. Double-hung or classic single windows may be the best option if you prefer something fancy. Vinyl, fiberglass and aluminum are also available if you prefer casement, sliding or double casement windows. It’s not an easy thing to decide whether to replace or repair your windows. 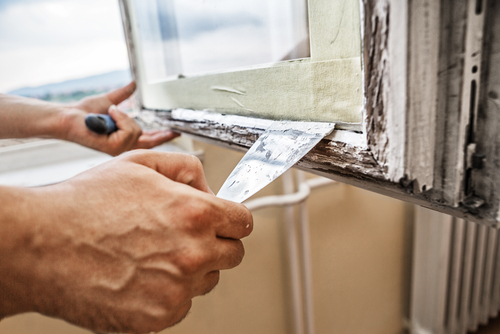 Generally, it’s wise to preserve your old windows and fix them to improve their energy efficiency. This will save you some money, averts unwanted stuffs from entering into your house, and maintains a certain charisma that new windows may not provide. However, it’s advisable to think about other factors such as costs before making your final decision. The best way to go about this is to seek the advice of an expert. Not all broken or damaged windows require replacement. As a matter of fact, you will be surprised to find out that there are several repair solutions that you could use.